Professor Del Mar is an academic GP, with a special interest in evidence-based care. 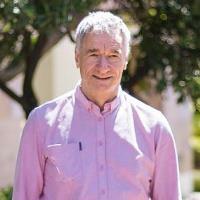 After leaving medical school (Cambridge, UK) he moved to Australia in 1977, and started general practice as a fulltime GP in Mackay, North Queensland in 1980, moving to academic in 1988. He has contributed significantly to health sciences and clinical research, working at the University of Queensland until 2004. Appointed visiting professor of general practice at Oxford University in 2007, Professor Del Mar is the Coordinating Editor of the Cochrane Acute Respiratory Infections Group. He has served in several other national and international roles: part of the World Health Organisation’s influenza rapid guidelines development in Geneva, editorial boards of BMJ, BMC Medicine, ACP Journal Club, and MJA (editorial board), and standing NHMRC principal committees. Previously he was Chair of the RACGP National Research Committee, President of the Australian Association for Academic General Practice, Editor of the research section of the Australian Family Physician, and chair of the editorial advisory committee of the Federal Government’s health web portal – HealthInsite. In 2008 he was awarded the Rose-Hunt Medal by the Royal Australian College of General Practice in recognition of his outstanding commitment to general practice research.